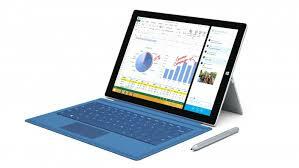 In all honesty I fully expected to be returning the Surface Pro 3 from whence it came after giving it a test drive. But the degree to which I’m enjoying this is surprising the heck out of me. The screen resolution is nice, it’s responsive, light, has a USB 3.0 port and runs everything I have put on it without issue. The Type Cover took about 5 minutes to get used to and after that, no issues typing on the keyboard either. I purchased the i5 model with 8GB of memory and a 256GB SSD. And like I said, it’s snappy with no lag when opening apps or switching between apps. I’ve also been using it as a tablet with the Kindle app and reading on the device is great too. I tried taking notes with the pen and it seems to do a descent of job of tranlating my chicken scratch so another plus. And as much as I don’t like Windows 8, it is better on a tablet with a touch screen. Not that I am ever giving up my MacBook Pro, but for a strict Windows environment which I need for work, spending money on a Surface Pro is much better than spending the equivalent funds on a traditional laptop. And I much prefer this over using a Windows virtual machine on my MacBook. And almost forgot, you can drive a 4k display (@30Hz) through the mini display port connection which is fine when working with Office documents. Brighttalk – Who’s Watching Your Home?